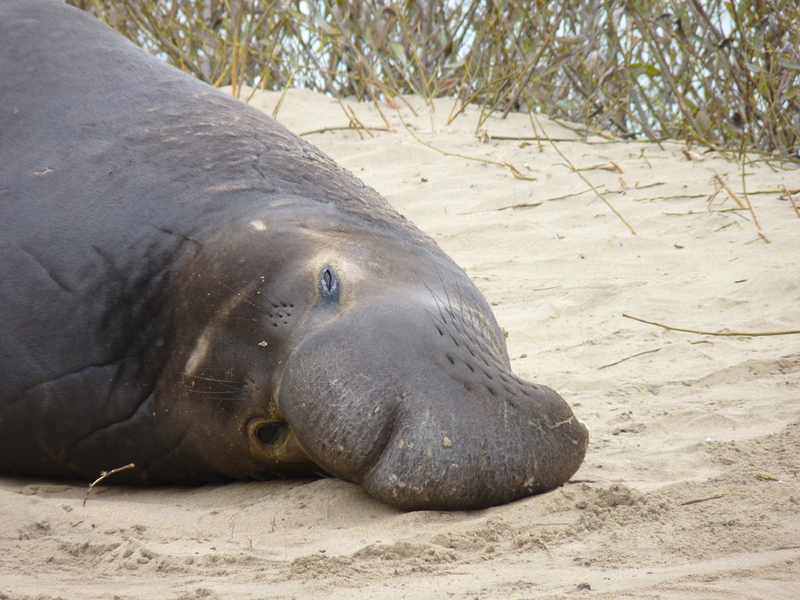 31 December 2010 – Jacky and I went to Ano Nuevo, which we do every year or two, to see the elephant seals. It is early in the season. The current population tends toward younger males, mostly here to practice intimidation and get used to the idea of (almost all of them) not being alpha males. There are a few females, and so far only around fifty births. The big male shown above decided to come out and challenge another male that was closer to where our group was, and we scurried away. As did the other male. 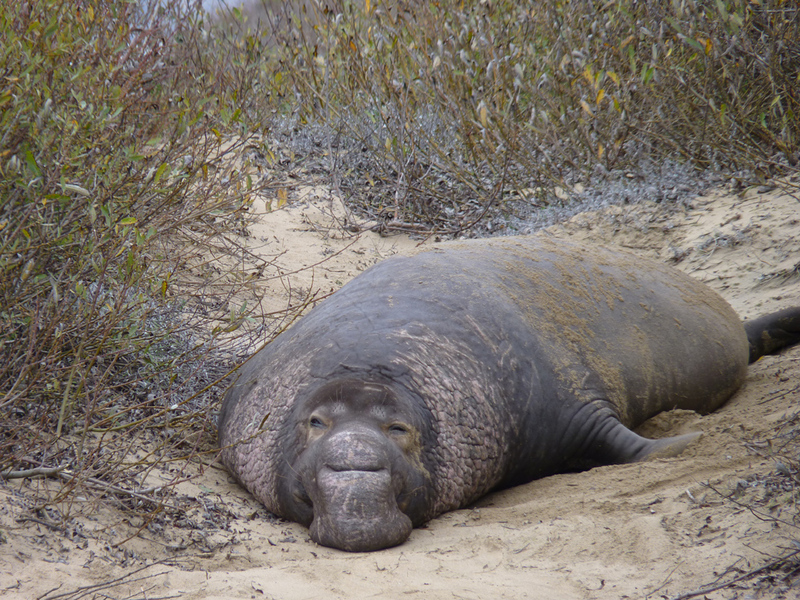 But they spend most of their time sleeping, especially on warm days, when they tend to overheat. 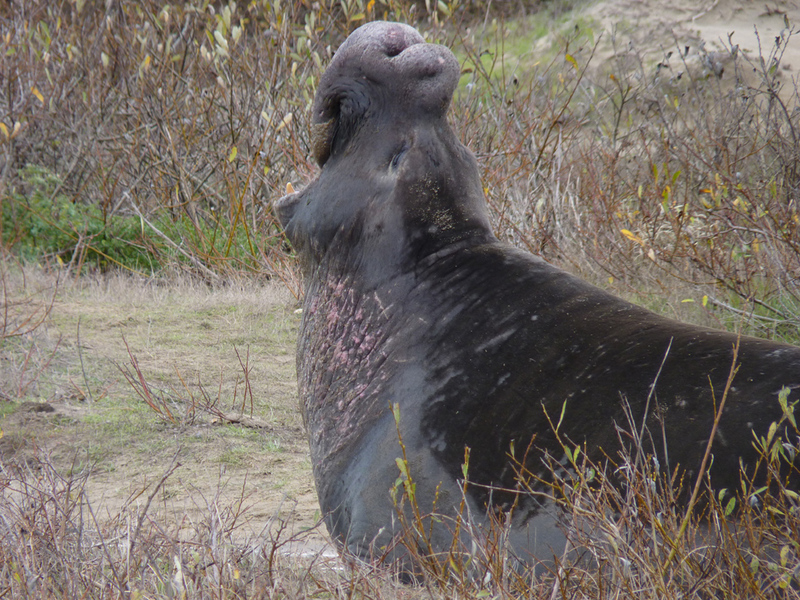 It is a lot of blubber to move around. 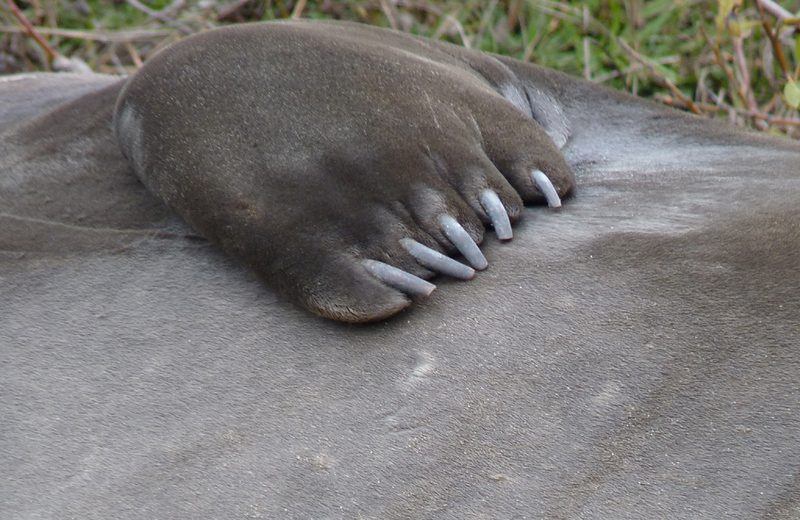 We have done this before, but I didn’t know, or had forgotten, that they have fingers in their flippers. All-purpose tools, really. The docent said the first group of the day had come upon mountain lion tracks in the sand. 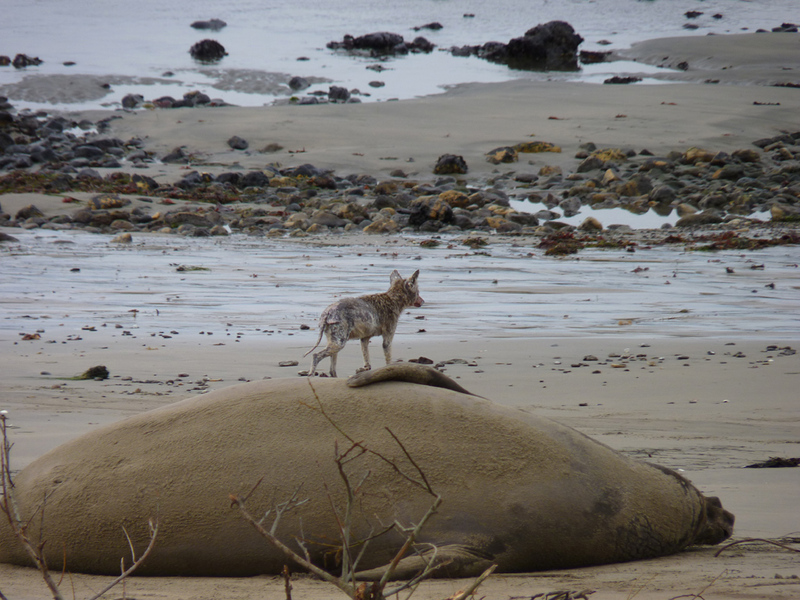 I imagine the mountain lions leave a wide berth for the seals. Our group didn’t see a mountain lion, but we did see a coyote, presumably out scrounging for an afterbirth. We stopped in Pescadero on the way home, looking for what the docent said was an okay Mexican restaurant. We haven’t been there for quite a while: it has become a popular little town. Crowded streets, and we parked some distance away from the center of activity. No evidence of a real Mexican restaurant, however, so we may have misunderstood the docent. There is a Taqueria as part of the gas station, where we ordered at the counter. Then home by way of Half Moon Bay and highway 92.